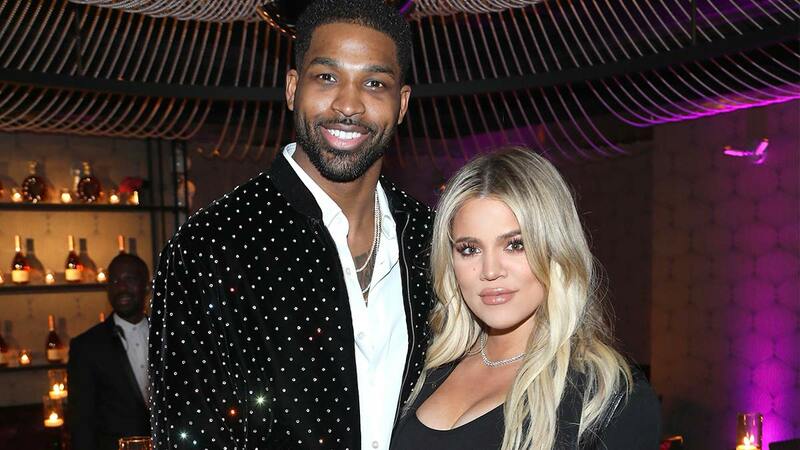 After celebrating her first Mother's Day basically alone in Cleveland, Khloé Kardashian has made what appears to be her first public comment on all of the drama involving Tristan Thompson and his multiple reported affairs. In a recent Instagram story, Khloé shared the following (telling) quote: "It's all about who you look for in a crowded room. 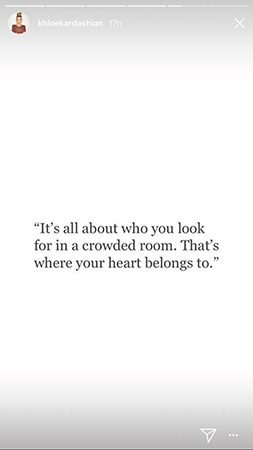 That's where your heart belongs to." In case you need a refresher: Five different women have come forward with claims that Tristan had hooked up with them while Khloé was very much pregnant with baby True, and a couple were even caught on video. Since Khloé decided to let Tristan back into her life, it's been reported that she's focusing on remaining happy and "trying to put the pieces back together for the sake of True." It was also previously reported that Khloé had really struggled with deciding to give him a second chance, but ultimately she went with her gut and is falling in love with Tristan "all over again." Per People, Khloé is now determined to show everyone that she's happy to be in Cleveland alongside True and Tristan, with one source saying, "She's very stubborn when it comes to her life. Her family still disagrees with her decision to stay with Tristan, but they are trying to be supportive." But hey, the heart wants what the heart wants and True is just the cutest bb.